Last week I went to the Romantic Novelists’ Association summer party (and blogged about it here.) On the way back I had a very interesting conversation with the taxi driver. He told me that black cabs cost around £40,000, should last fifteen years and run up to half a million miles on the clock. I quizzed him about “The Knowledge” – the test London black cab drivers must take to prove they know their way around the capital. Goodness. How inspiring. It took him three years, two of those studying full time, struggling financially as he had a family to support – but taking the long-term view. There’s the theory paper, and then sessions in front of a stern panel, answering questions. People may have to resit several times. I read somewhere years ago, that it takes 10,000 hours of study/practise to become a professional in any field, whether that be a concert pianist, an Olympian, an author – or indeed, a London taxi driver. Once I added up all the time I’d spent writing before getting my first novel deal, and the figures matched this theory. All of this got me thinking that, really, there are three areas, in my opinion, that writers need to become knowledgeable about, as they make their way along the road to publication. 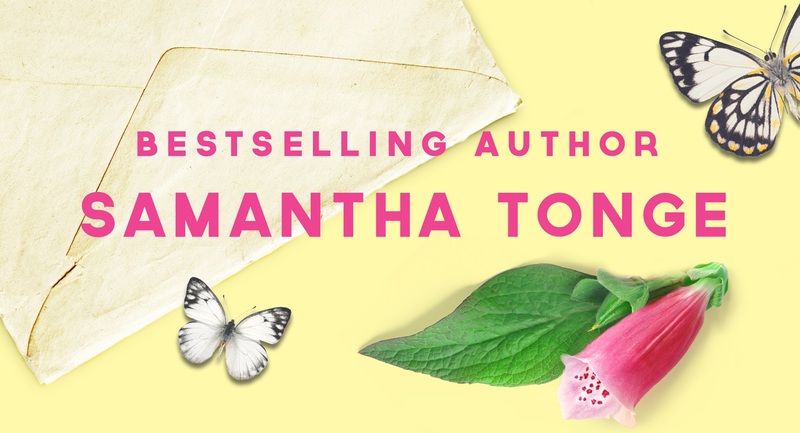 The writing itself, social media and how the publishing world works. And, just like that driver, authors need to take the long-term view – success won’t come overnight. Writing – I’ll never forget the first novel I wrote, back in 2005. At 94,000 words I’d only written four chapters! I had no idea about structure, point of view or show not tell. It came straight from the heart and was typed withe raw passion. It also contained a lot of autobiographical content which I needed to get out. The next book was rather different as I joined a writer’s forum and started to learn more about my craft. Also, I voraciously read how-to books (see below!) and over the years, had editorial reports done on my work so that professionals could point out where I, personally, was going wrong. I’m not one for rules but feel they need to be learnt to be broken properly – see my blog post here. Over eight years, whilst I tried to get a deal, I never stopped learning and pushing myself, hard as it was in the face of rejection. 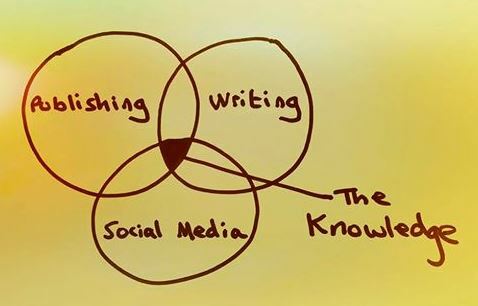 This is the crucial part of an author’s “Knowledge” because no amount of contacts or followers on Twitter will get you an agent or publisher, if the writing lets you down. And the journey doesn’t stop, when you are published. Lately my editor has helped me take my writing in a different direction with my latest book The New Beginnings Coffee Club. I’ve covered controversial themes and really delved into my emotions and whilst it has been hugely challenging, I’m thrilled with the results. Social Media – Eventually I joined Facebook, started blogging and later, found my way onto Twitter and Instagram. Nowadays, I probably spend half of my authorly working time on social media, promoting my books and networking with readers and bloggers. It doesn’t feel like a sacrifice, even though lately my writing time is limited due to a vocational course I am running it alongside and other new personal commitments. I see it as an essential and enjoy it – probably a little too much! Like it or not, a good social platform is seen as an essential now, by many agents and publishers. Don’t wait for that deal – set yourself up now. Communicate with the writing community. Get involved. And don’t forget, when creating your brand, to make it three-dimensional. This means to share something about your life that shows the whole you. No one is interested in a flat social media profile that just says “buy my work”. It should reflect an interesting,vibrant, rounded personality. 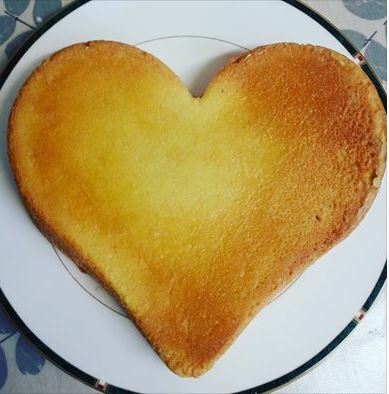 One thing I share a lot about my love of baking. Your interests don’t have to be ground-breaking – and perhaps the more relatable, the better. 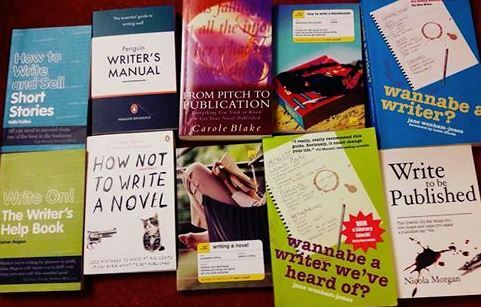 Publishing – Over those eight years, I learnt more and more about the publishing business. How best to phrase a submission letter. How to write the most concise but fully informative synopsis possible. I researched agents and publishers by always consulting the latest edition of the Writers’ and Artists’ Yearbook. And, as rejections came in, I took what I could from those letters, when given a snippet of personal feedback. I discovered that every agent is different – blanket submissions are no good. You need to research their own personal list of authors and follow their own submission guidelines to the letter. And since I’ve got published, my knowledge is ever-expanding. I’ve had to get my head around pricing strategies, Amazon metadata and promotional tools. The list goes on. Last week I asked the taxi driver if The Knowledge exam was any easier because of SatNav. Did the examining board expect less? His answer was a vigorous “no!”. It’s the same for us authors. There are no shortcuts. You need to get to grips with – and constantly evolve alongside – the way our industry works. It’s hard. Like anyone else I can be fearful of new challenges. Just the idea of trying Facebook Live isn’t good for my nerves! In my opinion, if you want to become a professional and get paid for you work, you really need to focus on this writing malarkey as a job. You need to educate yourself in your craft, social media and how your environment works. Don’t see those years of rejection as wasted, because they are a vital part of your training ground. Good luck! This entry was tagged London, publishing, rejection, romantic novelist's association. writers' and artists' yearbook, social media, taxi, the knowledge, writing. Excellent post, Sam. I’ve known too many newbies who think there’ll be overnight sensations and fall by the wayside pretty quickly. You really do have to do an apprenticeship. Thanks Francesca! Yes, I think tv talent shows can perpetuate the myth that overnight success is possible – but it’s extremely rare. And I thank goodness my first books was never published!